Manchester’s very own Grimmfest crew put on a Japanese Horror double bill for their March edition of monthly horror showings. Hosted at the fantastic Plaza cinema in Stockport, the films of choice were Ringu — many have called it the greatest horror film of the 21st century — and Battle Royale, both of which I hadn’t seen before. Ringu is the pinnacle of “urban myth” horror. The plot is common knowledge: if you watch the cursed tape, you get a call which says “seven days”. Seven days pass and you die to a creepy ghost girl. Simple yet effective. Unlike its American remake, the original Ringu takes itself seriously and doesn’t overstay its welcome. With creeping camerawork, convincing performances from the cast — including the child actor, who seems to have the soul of a 40-year-old man — and, best of all, Sadako (Rie Inō) makes brief appearances throughout, allowing the feeling of dread to be built by the cursed tape. Having seen the American Ring a couple of years ago, I can say that I much prefer the original — the remake isn’t terrible, honestly, I quite enjoyed it. For a comprehensive review of the 20th Anniversary restoration of Ring, check out Mancunion writer Carl’s review. The second, and final, film of the evening was Battle Royale. Based on a book of the same name, this is the story that has spawned countless re-imaginings from Hunger Games to Fortnite. Again, the plot is simple: in a dystopian future, adults are losing their power over children. To stop the youth from skipping school, a class of 42 children is selected at random to be sent to an island to participate in a free-for-all fight to the death. The plot is ridiculous and Kinji Fukasaku is very aware of this. The action is over-the-top, the dialogue is ridiculous to the point of comedic gold and the pacing of the film never drags at any point in its 122 minute runtime. More of a thriller than a horror flick, Battle Royale doesn’t try to be edgy — unlike other films — which I’m sure is one of the reasons why it was the highest-grossing Japanese-language film for six weeks after its initial release. To the general public, a film which depicts school children killing each other is understandably disturbing and highly immoral, but horror fans have seen so much worse than this. If you can look past the arguably cruel plot, its absurdity makes the story all the more sweet to witness. A whirlwind of blood, guts and laughter, Battle Royale is now one of my favourite Japanese films, by far, and a must-watch for lovers of the action genre. In regards to the double bill format, I actually quite like it. I never watch two films in a row but a comfy cinema, a bottle of water and a 20-minute pee break between films make the format thoroughly enjoyable. 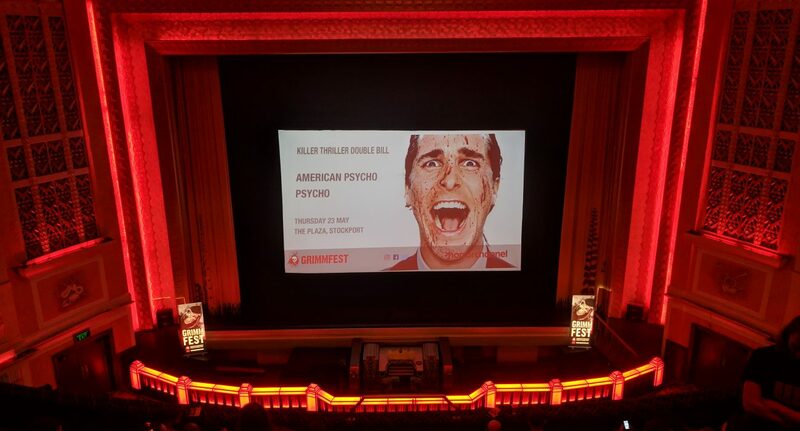 It’s worth a try, and thanks to Grimmfest, every month they host a different double-bill. Coming up at the end of April is the Alien Invasion Sci-Fi Horror event featuring The Faculty and Attack the Block. Tickets are available on the Grimmfest website.